“Now may the Lord of peace himself give you peace at all times and in every way. Studying Paul’s journey throughout the New Testament as he started the early churches gives us an amazing example of resilience. When we read about his trials and struggles, we can almost feel his pain and heartache….and – believe it or not – JOY! But what I love the most about the way Paul writes is that he is personable. He greets everyone by name. He tries to include everyone individually. 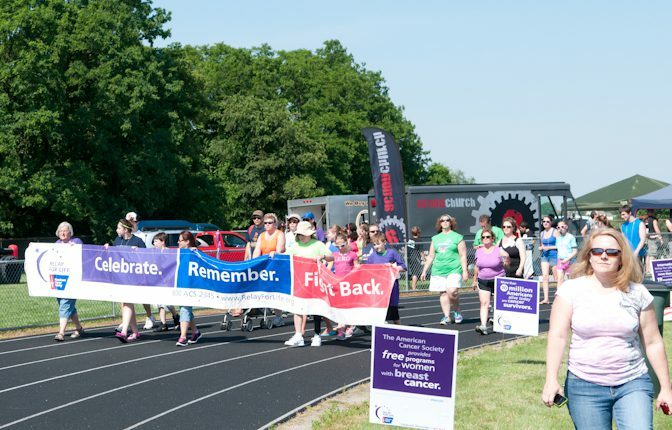 So I apologize if during Relay for Life I’ve ever greeted you by yelling – “Hey! Juny’s son….can you come carry this heavy thing!” Or, something even less personable (and more obnoxious) like – “Allison’s boyfriend – here is a dishrag-wash up these dishes” I am TERRIBLE with names. I have to know you like ten years before I even realize who your specific children are. I am TRULY SORRY I am not more like the apostle Paul. 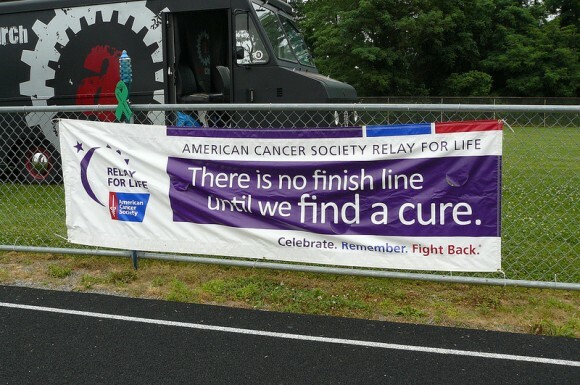 As we wrap up Relay for Life this year I want to thank each of you by name. But I can’t. There were so many of my “fellow workers in Christ Jesus” running around with actionchurch t-shirts, serving, lifting, leading, dragging, sweating, carrying heavy things – that I couldn’t possibly remember everyone’s name. Thank you for serving! Thank you. Thank you. Thank you. And even that is not enough. I commend you all for a job well done! You have my undying gratitude for putting up with the bumps and hiccups (and the DJ). I praise the way you dealt with the screaming children, the missing forks, melted cobbler and the general chaos that is Relay for Life. I loved the way the volunteers in each area pulled together, instructed and uplifted each other. It made my heart burst with happiness to see all of you loving the cancer survivors and their caregivers in such wonderful and unique ways. And, perhaps even more than that, I celebrate the smiles, the hugs and handshakes, the pats on the back that were exchanged amongst “the crew”. We are a church filled not just with people – but with friends and fellow workers in Christ. We all have our quirks and our faults; we have imperfections and burdens. 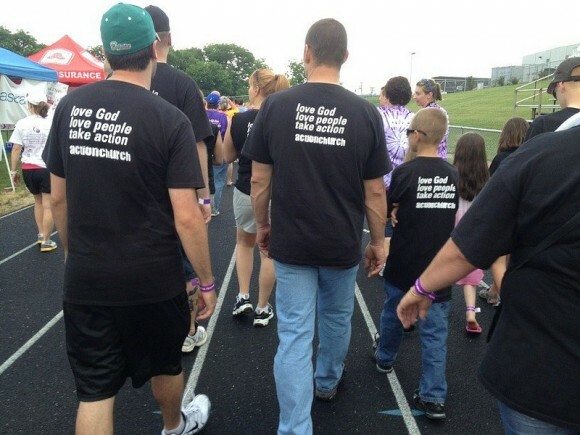 But together – through events like Relay for Life – we are able to not only Love God, Love People and Take Action – but we are also Loving One Another. Well done actionchurch. Well done. 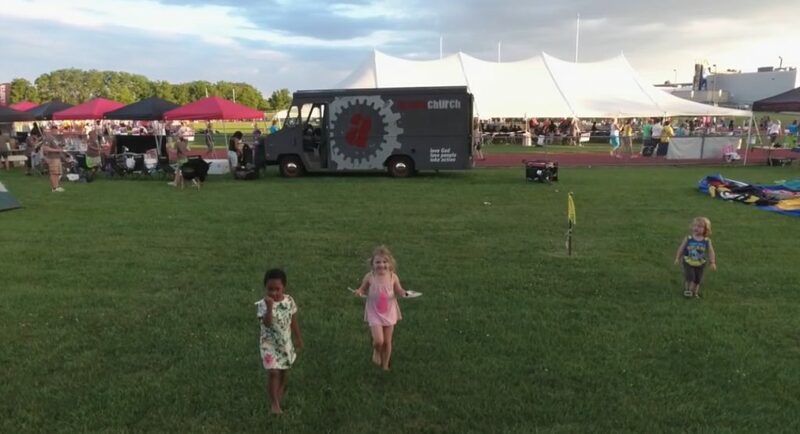 Anyway – There was a woman, with small children, who had JUST been diagnosed with cancer, struggling, in the blazing heat, to set up a (NOT so) EZ-up tent. The thing had like a bajillion pieces……and no instructions. Juny and the kids schlepped her equipment the whole way across the field and stuck with that woman until they had her tent in place and her campsite set up for the event. I wouldn’t have blamed them if they would have looked at me and said “Hey! I didn’t sign up for this assignment!” But – they didn’t. They just quietly, in the background, did what needed to be done. The past couple of weeks we have been highlighting a very famous person in the bible named Paul – but, as I’ve been reading about Paul’s struggles, trials and suffering – there is another guy – Timothy – right there beside him every step of the way. Timothy is an emissary, delivering messages and letters across whole countries. Timothy is a travel companion, journeying right alongside of Paul through thick and thin. Timothy – is even in prison with Paul. Going through the same crap, day in and day out, quietly, unselfishly, in the background, doing what needs to be done. On Friday we plan to give a whole lot of love and support to a deserving group of people – cancer survivors. But there is another group of people who will be there too. I encourage you to take the time to get to know their stories as well. I urge you to pay particular attention to those people who are there every step of the way – right alongside the survivors, going through the same crap, day in and day out – even though they didn’t sign up for the assignment – quietly and unselfishly, doing what needs to be done. Here’s the Details for this years Relay for Life event. Join us as we serve York County cancer survivors and their caretakers! If you have already signed up…thank you! If you haven’t yet made plans to serve…we have a t-shirt….and a job waiting for you! Just email info@actionchurch.com or check in at the actionchurch truck at the event for your event T and assignment! Unload and set -up 9:00 a.m.
actionkidz area – noon – 7:00 p.m.
Tables/Chairs set up- 1:00 p.m. Salad Prep – 5:00 p.m.
Coffee Bar – 11:00 p.m. – 6:00 a.m. So – only about 72 hours remaining to finalize details, take care of those last minute crisis’ that always occur (speaking of which there is a five gallon bucket gathering some – I am sure – vital fluid draining from Black Betty our faithful actionchurch truck) AND set up an entire football field of equipment in preparation for Friday’s serving event – the ACS Relay for Life. Amidst the rush and crunch of panic time, as we all scurry around to get two weeks-worth of work into the remaining three days, I just wanted to take a minute (thus the shortest blog EVER!) to remind everyone why we do what we do every year. THREE: Because we 1) Love God, 2) Love people and 3) Take action. In that specific order. Our t-shirts even say so. TWO: Cancer survivors AND their caregivers. Hands down – some of the bravest, most inspiring people on the planet! ONE: One day filled with hope, love, joy and laughter (and exhaustion). A day to form bonds, friendships and memories that will last forever. A day to forget about the pain and suffering of this world. A day to show the hope we have in Christ.